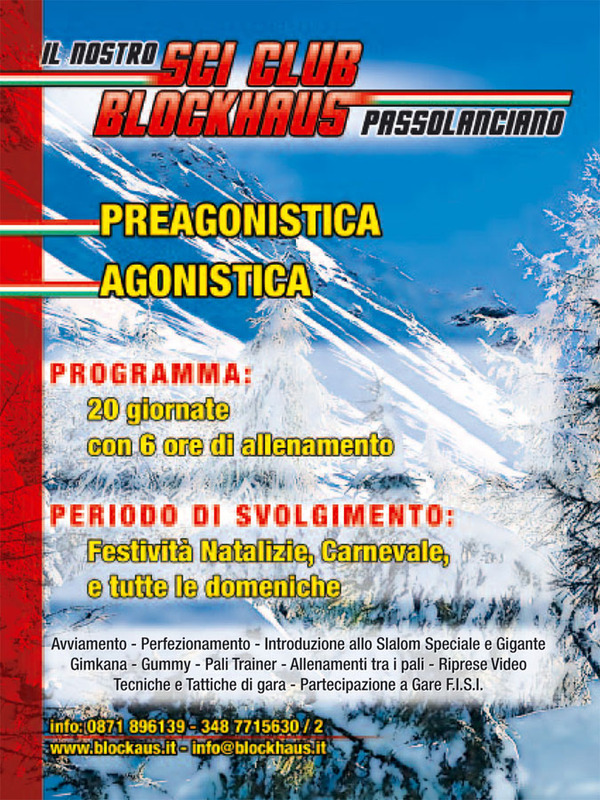 Welcome to the website of the Blockhaus Italian Ski School of Passo Lanciano. 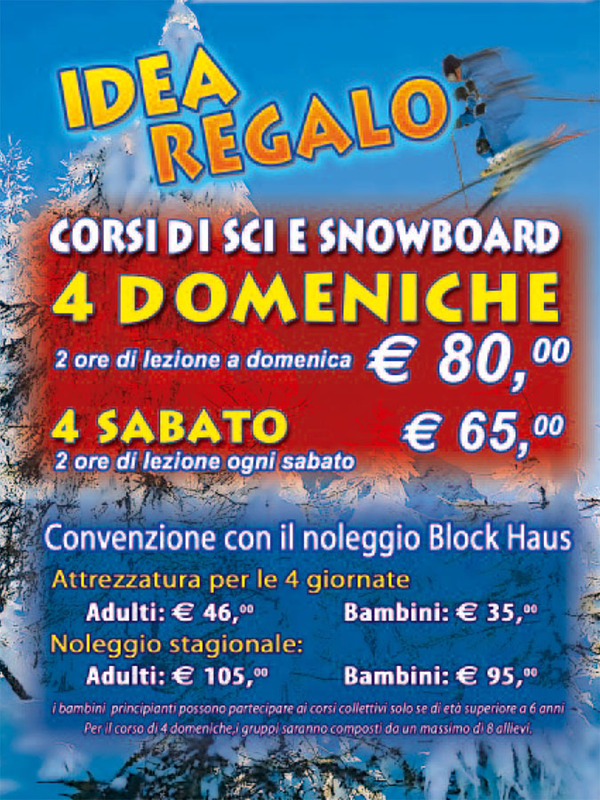 The Blockhaus Italian Ski School operates at the ski resort of Passo Lanciano – Maielletta situated in the Maiella National Park. The school is named after one of the peaks of the massif, deriving its name from a local refuge made of blocks, historical traces of which still remain. Founded on these solid Nordic-like foundations, the Ski School testifies instructors’, participants ‘ and members’ love and passion for both the mountain and skiing. 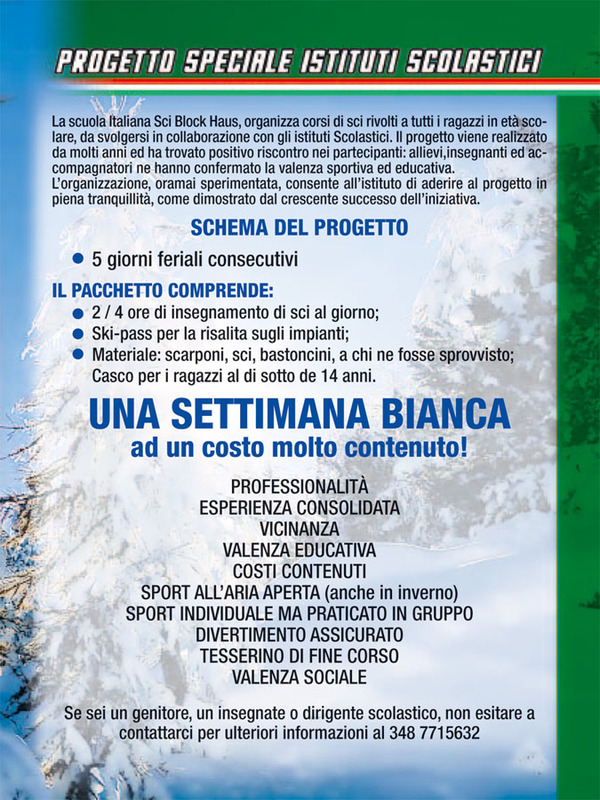 The Blockhaus Italian Ski School of Passo Lanciano is one of the crowning glories of skiing in the Abruzzi region and you are all invited to join us to ski with your friends or just to enjoy a great nosh-up. 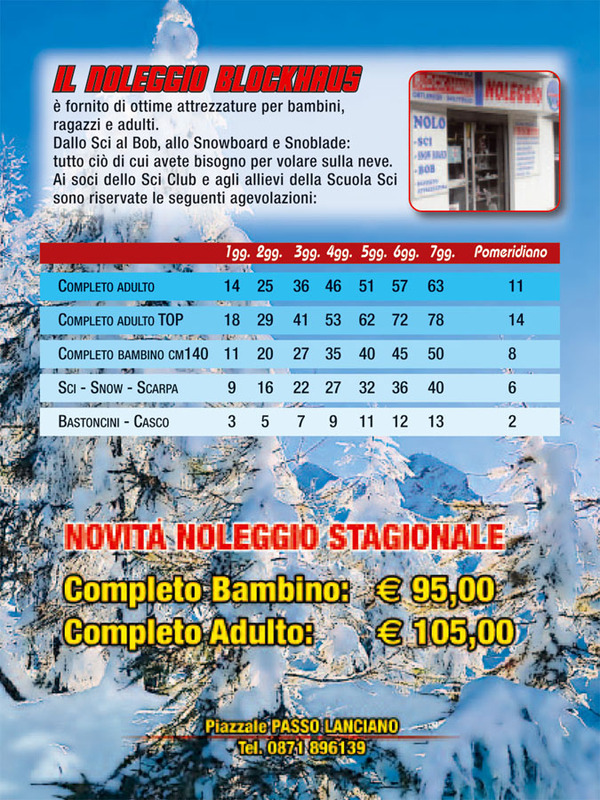 Children, teens and adults shall approach ski calmly and in complete safety. 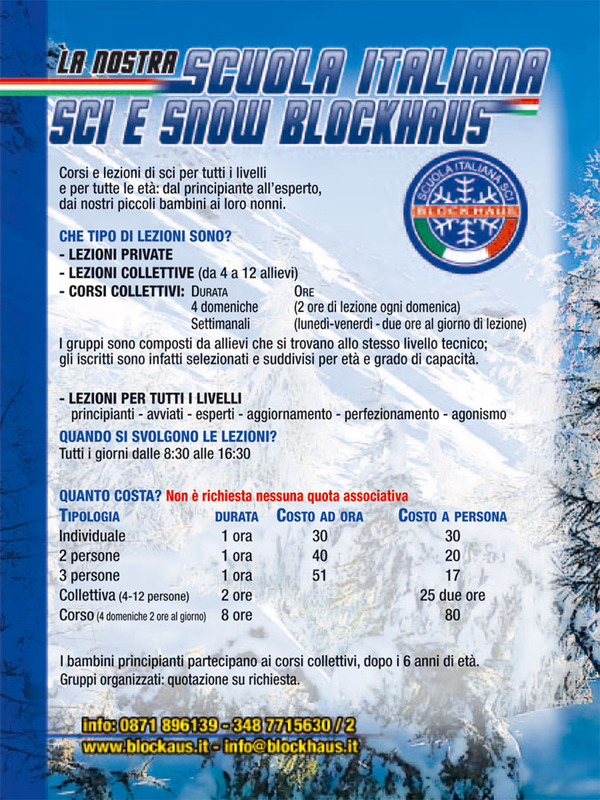 The experience and professionalism of the Blockhaus Italian Ski instructors are at your disposal and it will be a pleasure and honor for them to ski with you. 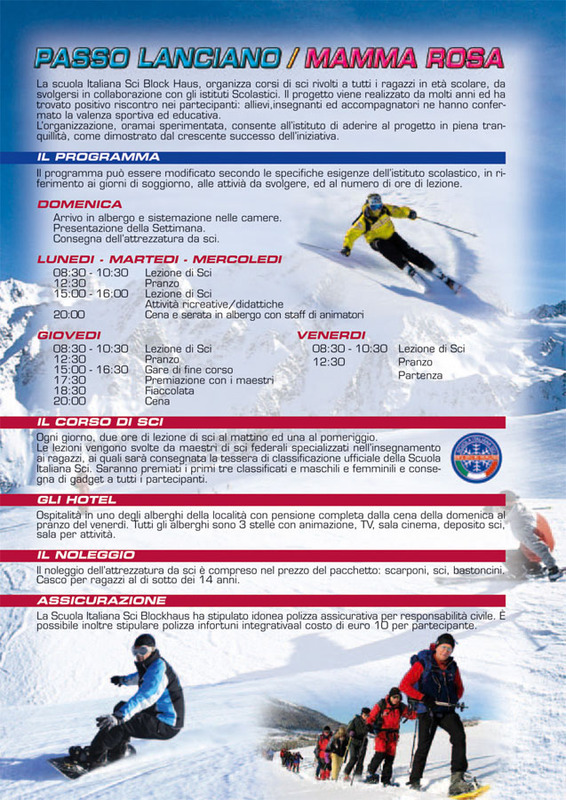 Even those who can already ski will meet their match: specialization classes, carving, gates training, off-piste skiing, shooting and a lot of fresh snow. With us you will find adventure and the right motivation! 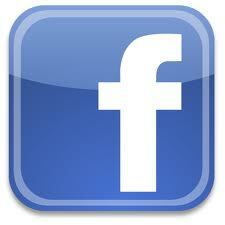 We provide different services, tailored to your needs. From the first descent on skis to the carving finalization, easily and safely. From beginners to advanced, you will learn how to ski and improve your technique having fun with your friends. Under our instructors’ patient guidance, highly trained and constantly updated on the use of newer technologies, success is guaranteed. 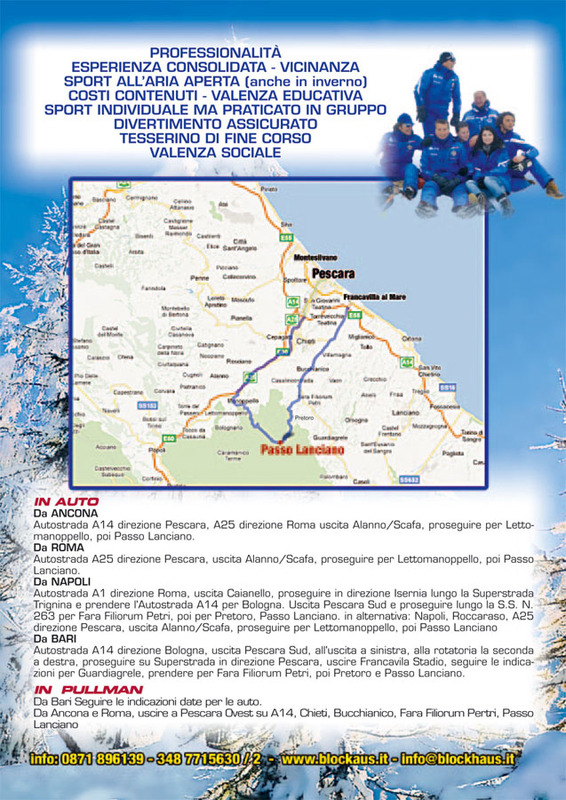 A25 motorway towards Pescara, exit Alanno / Scafa, go on to Lettomanoppello, then to Passo Lanciano. A1 motorway towards Rome, exit Caianello, continue along the Trignina freeway towards Isernia and take the A14 motorway to Bologna. 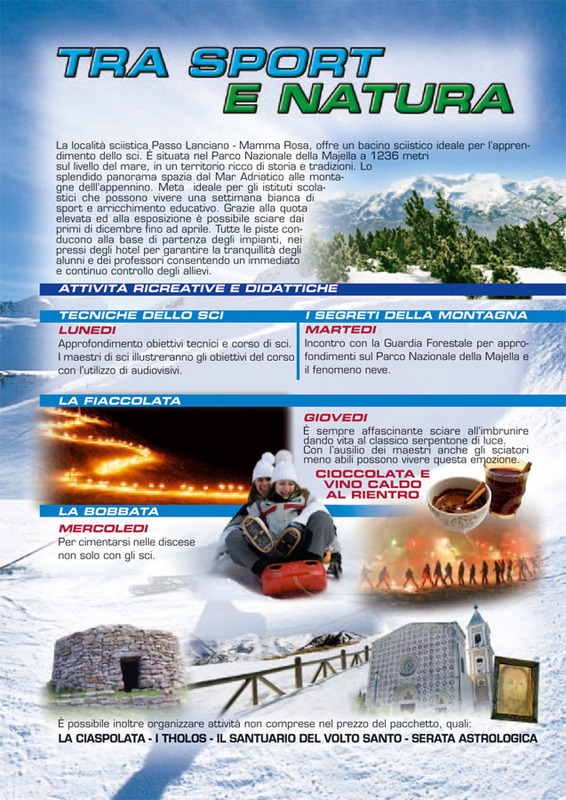 Exit Pescara Sud and continue along the S.S. N.263 to Fara Filiorum Petri, then to Pretoro, Passo Lanciano. As an alternative: Naples, Roccaraso, A25direction Pescara, exit Alanno / Scafa, continue to Lettomanoppello, then Passo Lanciano. A14 motorway direction Bologna, exit Pescara Sud (at the exit turn on the left), at the roundabout take the second on the right, continue on the freeway towards Pescara, exit Francavilla Stadium, follow the directions for Guardiagrele, go on to Fara Filiorum Petri, then to Pretoro and Passo Lanciano. From Bari follow the directions given for cars. From Ancona and Rome, on A14 exit to Pescara Ovest, Chieti, Bucchianico, Fara Filiorum Pertri, Passo Lanciano. Pescara airport is just 30 minutes away.